Since our inception, we have handled many residential and commercial moves in and out of Shiloh, New Jersey. The Optimum Moving team will help plan your entire move and execute it in the most seamless manner. We eliminate all the hassles and unnecessary stress that are usually associated with moving, so you never have to experience a single drop of sweat. Moving is that easy with us! The borough of Shiloh located in Cumberland County. Shiloh was incorporated in 1929 from portions of Stow Creek Township and Hopewell Township. Route 49 via Shiloh Pike travels from north to south, and connects both Hopewell Township and Stow Creek Township. Shiloh is known as a dry town where alcohol cannot be sold, except at authorized locations, i.e. Swansea Vineyards. 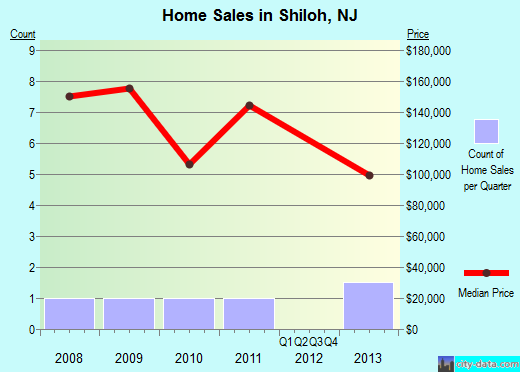 In Shiloh, the median price of the houses in this city is approximately $146,107. A majority of properties that are chosen by residents usually feature three bedrooms. Recent studies have shown that nearly 80% of the city’s 512 residents stay in the same house for five years on average. Renters stay in the same rental property for up to five years on average while property owners living in condos and houses live in the same place for about 15 years. At Optimum Moving, we fully understand that every household or business is not the same. That’s why we are trained and prepared to cater to any unique relocation needs our clients have. Whether you need to move cabinets that are filled with sensitive documents or a grand piano, our advanced moving equipment will ensure they are transported in a safe and secure manner. All edges and surfaces will be protected with high quality packing and protective materials during the move. To enjoy a seamless move in Shiloh, try our services today! Want to learn more about a Shiloh Move?